From the 12th – 15th of March Cheltenham Racecourse will host one of the most prestigious horse racing events in the sporting calendar, only the best horses, jockeys, owners and trainers battle it out to win. Make the most of our Cheltenham festival coach hire offers today! Call 0800 112 3770 or CLICK HERE for a quote. We have coaches to hire for Cheltenham in a multitude of different sizes, our drivers will pick you up from your chosen location and transport you direct to Cheltenham on board our Cheltenham festival coach hire service. Join the party and be a part of the over 260,000 people who pass through the Cheltenham festival gates over the four days, we are proud to say that we are an approved ticket supplier, therefore, we are offering exclusive ticket and transport packages for our clients. No matter what size your group may be for transport to Cheltenham Racecourse at Bouden Coach Travel we guarantee to have something that is perfect for you. If you’re looking to cater to a smaller group we also have minibuses to transport you to Cheltenham Racecourse. Here at Bouden Coach Travel we offer our clients three different classes in vehicle, therefore no matter what your budget maybe we have a coach to hire for Cheltenham perfect for what you’re looking for. Standard coaches have very basic interior and no air conditioning, they are used mainly on school trips and for journeys where luxury is not necessary. The cheapest option for Cheltenham coach hire. Coaches of an executive level are our most popular form of coach travel for Cheltenham festival. These vehicles benefit from part leather seating, air conditioning, climate control, fridge on board, fully functioning toilet, and much more. They really are the most cost-effective option if you’re looking for something with a little style. Last but not least is our top of the range luxury coach hire option for Cheltenham. 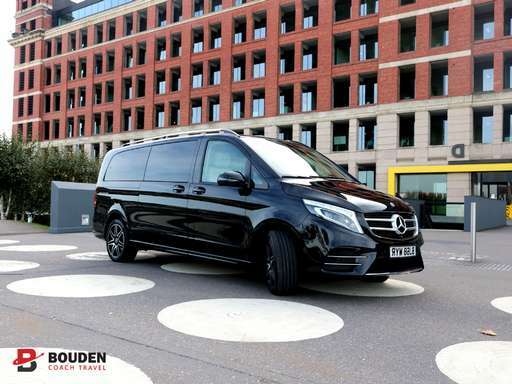 Benefiting from high specification interior, USB plug sockets, fridge, toilet, leather seating, tinted windows, music system, TV and DVD services on board and much more. These vehicles really do provide the wow factor you’re looking for and given their amazingly high standard they are not as expensive as you may think. You can also call our in-house team on 0800 112 3770 or email [email protected] with you coach hire for Cheltenham festival.